Become a part of the #1 conference for educating perioperative leadership. Explore our Sponsorship Prospectus to find the perfect medium for connecting with the leaders that your brand wants to work alongside. Browse our Digital Opportunities and place your brand ahead of the competition on the conference website. Then connect with Nancy Iannotta to make it all happen. 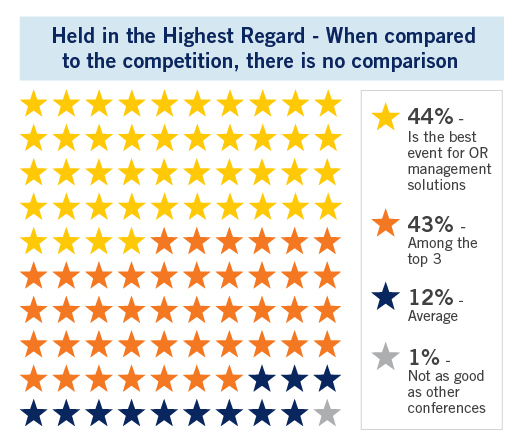 What makes the OR Manager Conference the #1 Conference for Perioperative Leadership? Value obtained from quality content, exciting locations, and engaging events the keep managers, directors and leaders of the OR and ASC coming back year over year. 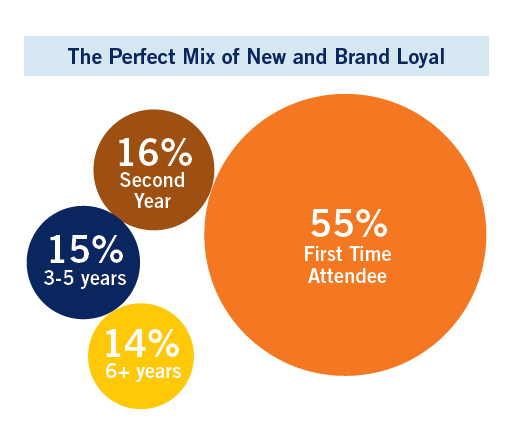 It’s the value we provide the attendee that is, in turn, transferred to our Exhibitors. Exhibiting at the OR Manager Conference means meeting more stakeholders and more decision makers than any other conference. Every attendee at the OR Manager Conference is a key decision maker at their facility and is a qualified contact for your organization. The OR Manager Conference is the only conference in the industry completely dedicated to the education of perioperative leadership. We understand why leaders of the OR, ASC, and PACU leave their facilities each year to attend conferences: The Education. We understand because our planning committee is comprised of the top perioperative leaders in the nation. This is what makes our content unmatched and keeps the OR Manager Conference as one of the most appealing educational conferences around. 12:45 p.m. – 2:00 p.m. Your company’s address, website, 50-word description, booth number and product categories will be published instantly when you update your company’s profile on the web and it will be printed in the OR Manager Conference Onsite Program Guide. The Program Guide is distributed to hundreds of OR directors, managers and business managers during the conference and serves as a resource throughout the year. Stand out from the crowd! 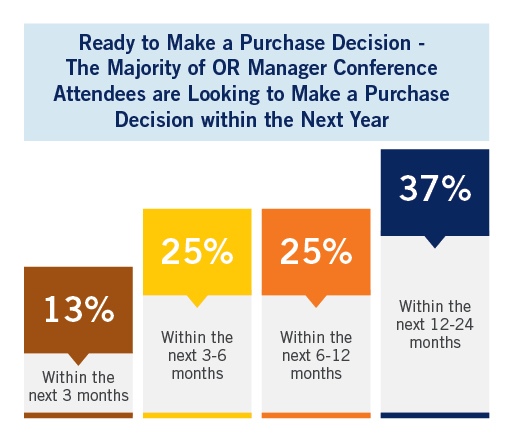 Take advantage of the opportunities for exhibitors to increase their exposure to the OR Manager Conference audience, year-round, through the website and at the conference. Please see the form in this section for pricing and details. Company Descriptions and Contact Information must be submitted over the web. All information is published instantly on the web and MUST be submitted by August 10, 2018 in order to be included in the OR Manager Conference Program Guide. Please check your contact information and make sure it is correct. The information that you enter in the Exhibitor Resources section of the OR Manager Conference website will be published EXACTLY as you enter it in the OR Manager Conference Onsite Program Guide. The OR Manager Conference website features the only official exhibitor directory, floor plan, and Conference planner for attendees to ﬁnd new products and services while planning their visit to the show. 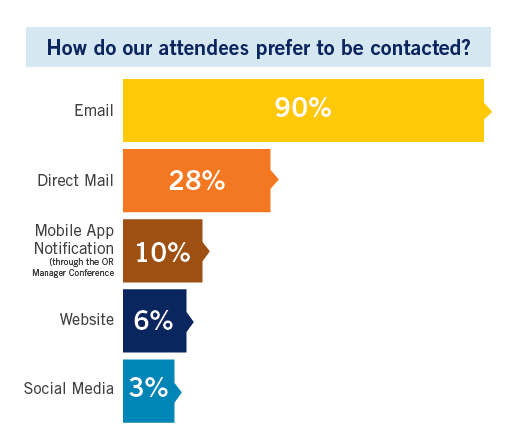 The more you talk about your participation at the conference, the more successful the event will be. We encourage all exhibitors to participate in at least one attendee outreach opportunity designed to promote the conference and generate buzz for the program. “Like” OR Manager on Facebook, join the discussions in the LinkedIn group, and connect with us on Twitter by following and tweeting us. The company profile submitted will be viewable online leading up to the show as well as after. Plus, it will be used in the Onsite Program Guide which is often kept and used throughout the year by the attendees. Please check your information and make sure it is correct. The information that you enter in the Exhibitor Resources section of the OR Manager Conference website will be published EXACTLY as you enter it in the Onsite Program Guide. In the Exhibitor Resources Center create your own HTML email personalized with your company name, booth number and VIP code to send to your prospect and client list. You can update the text of the email to include exciting news about your company or to spotlight a new product. In the Exhibitor Resources Center you can post your news briefs and announcements to appear directly on the OR Manager Conference website. They may even be featured in The Pulse, the only official e-newsletter of the OR Manager Conference. In the Exhibitor Resources Center create a banner ad for OR Manager Conference complete with your company name and booth number. In the Exhibitor Resources Center customize the Customer Coupon Pass in PDF with your company name, unique VIP Code and booth number that you can send to customers to invite them to OR Manager Conference 2014. The Customer Coupon Pass gives your customers an exclusive $50 discount on the conference, courtesy of your company! Save time onsite and register booth personnel in advance! To register exhibitor personnel visit the Exhibitor Registration Portal. With your booth, you receive a certain number of free booth personnel passes. Additional booth personnel passes and conference passes are available for a fee. If you have any questions regarding your registration allotment or need your password, please call Pepper Coe at (301) 354-1798 or e-mail PCoe@accessintel.com. 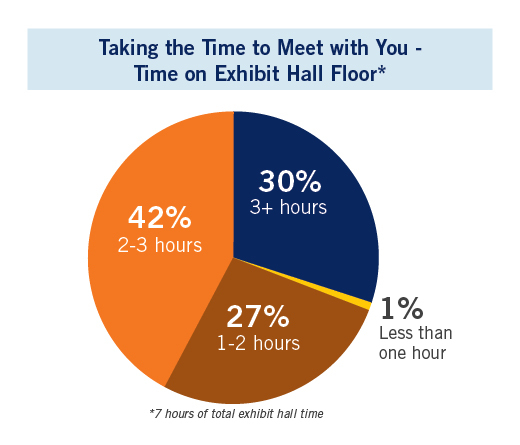 Access to the exhibit hall for set-up, break-down and public exhibit hours. Additional passes can be purchased for $25. Earn CEs and AEUs through workshops, breakout sessions, and keynotes. Additional credit hours can be earned through poster sessions and exhibitor presentations.